Hi, this is Kayoreena from EOT! On November 22nd, Sansan, the company famous for the business card management app Eight, hosted a business event “Japan India Dialogue” at the Indian Embassy. 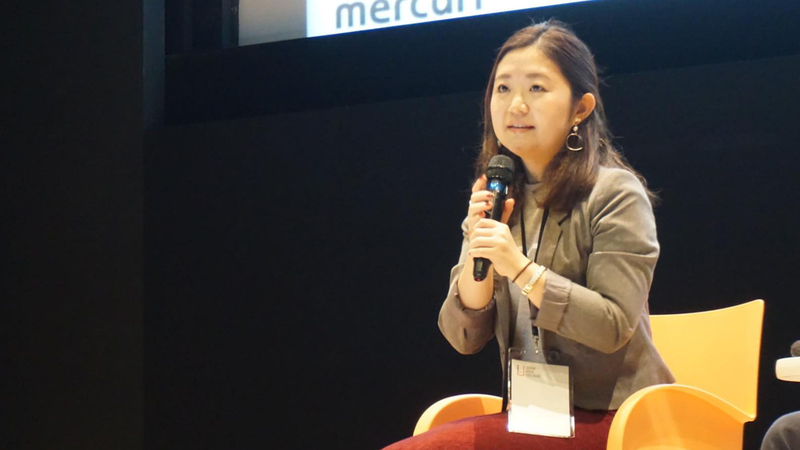 Mikako, the manager of the Mercari Onboarding team, gave a talk at this event, and I’d like to report on that for today’s #MercariDays (#メルカリな日々). The goal of this event was to showcase the reality of India and its appeal through the perspectives of entrepreneurs of business in India, and experts who have a strong relation with the country, giving the audience an opportunity to see the country from a new point of view. At the event, speakers presented on topics such as “The Reason of International Companies to Come to India” and “What Makes Indian Startups Lucrative for Global Investors and Japanese Companies?”. Mikako’s talk was on recruiting IT engineers in India, discussing her experience hosting a hackathon in India. 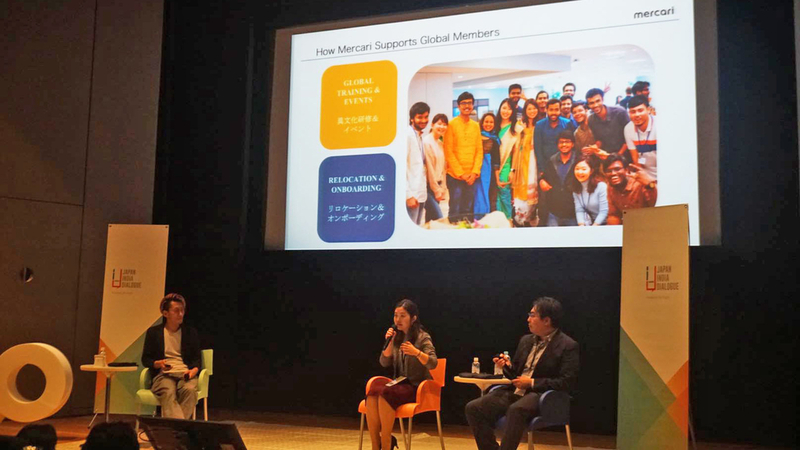 Mikako also mentioned Mercari’s strategies in order to become a global tech company, including hiring talented engineers from around the world regardless of nationality, and how making the decision to become involved in IIT (Indian Institute of Technology) became an important step towards that goal. In addition to the India hackathon, she also spoke about our efforts to create company systems and establish a company culture in order to onboard global new graduates smoothly. Here at Mercari, we will continue to strengthen our efforts towards global hiring in order to welcome top talents from not just India, but all around the world. We are extremely honored to have had the chance to share our initiatives at this event, and hope that our experiences can provide useful insight to others.